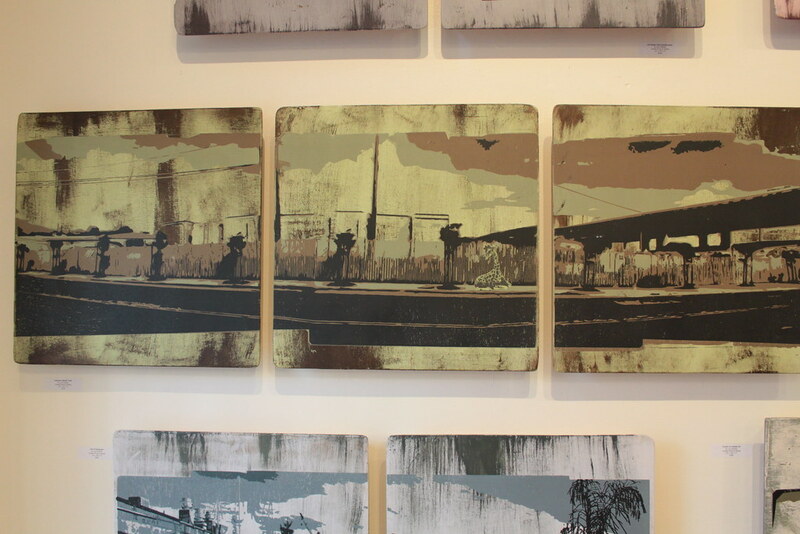 For “The City”, Jon Fischer is exhibiting a project titled Temporary Space, a series of multi-layer screen prints on wood that depict San Francisco’s Eastern neighborhoods in flux. Based on photographs shot by the the artist over time, these pieces document small pockets of the city which will soon assume a new visual existence. They were produced in 2008. Jon Fischer is a San Francisco-based screen printer whose recent work documents the changing physical landscape of San Francisco. 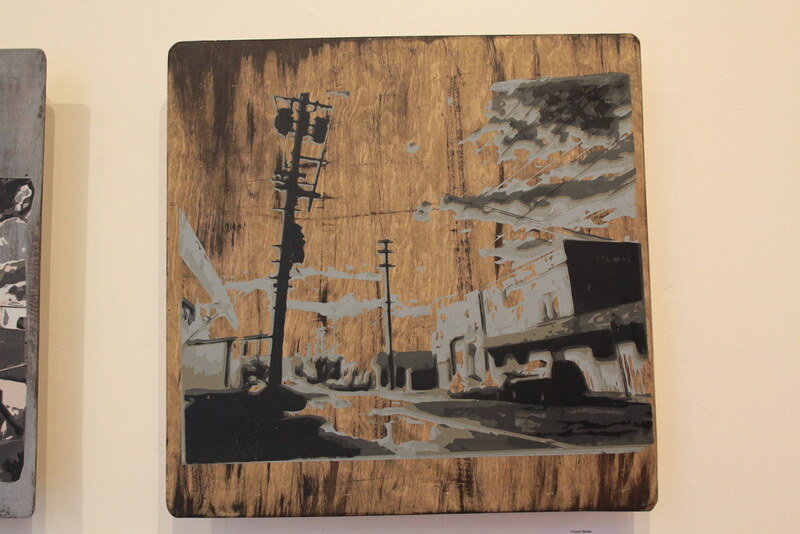 In addition to an ongoing series of postcards which depict lesser known neighborhoods, he has been producing a series of multi-layer, large format screen prints on wood panels. As a whole, the intent is for all these works to present an alternative landscape of San Francisco, separated from its traditional associations as a global commerce center and picturesque sightseeing oasis. Fischer’s latest project is 30 foot long grid of wood tiles that depict the twenty-four intersections of San Francisco’s 24th Street from Valenica to Vermont Street. In February 2010 it will be permanently installed at Mission Local Eatery on 24th and Folsom streets. In his spare time he teaches undergraduate engineering at CSU. Visit our flickr to view more of his art. 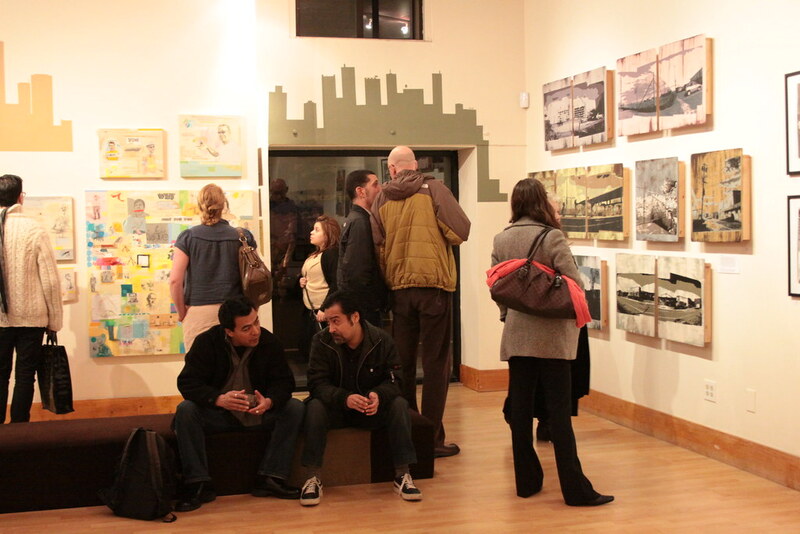 LAST TWO DAYS OF “THE CITY” @ 1:AM GALLERY!